Twice the results in half the time. Guaranteed, or we'll put your money right back in your hand. 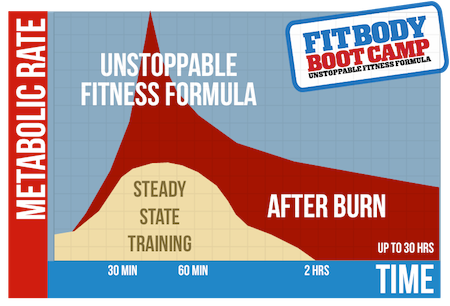 Fit Body Boot Camp does one thing, and we do it better than anyone else. We're about delivering personal trainer designed and lead fitness and fat loss workouts in a fun, safe, high intensity group training workout program. With our proven formula for delivering results that no big box gym can touch, our mission is focused on our "2020 vision" which is to expose and engage 20 percent of the world's population to a healthy and fit lifestyle by the year 2020. ​As an industry leading fitness brand we feel that we have a greater responsibility not only globally through our 2020 vision, but locally as well, to the clients in the communities that we serve and the neighborhoods we operate our fitness centers from. Which is why we believe in getting involved with our communities and contributing locally whenever possible. That's what being a good neighbor is all about. So when you step foot into a Fit Body Boot Camp location you can expect a clean, friendly, and fun high energy workout environment that's not only a place to get fit and healthy, but a place to make friends with others in your community. 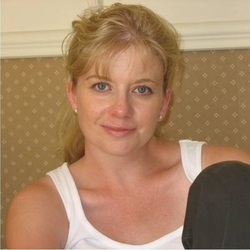 Hi, I am Anna Larsen and I want to make it my personal mission to help you finally reach your weight and fat loss goals, the same way I have already done for 1000's of others. With my proven fat loss methods, coaching, support and accountability, it is nearly impossible for you to fail. In fact, the only way to fail is to just NOT follow my plan! Hundreds of people JUST LIKE YOU have been successful, and you will now, too.